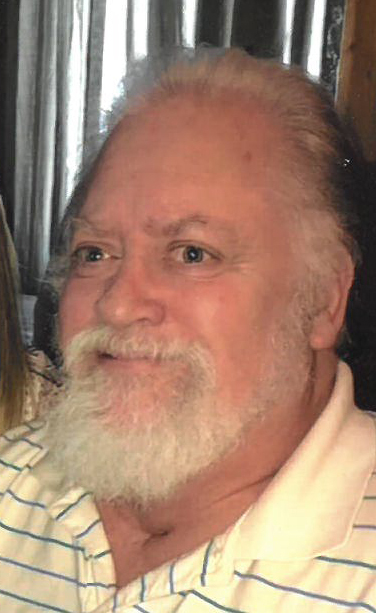 Obituary for Dennis L. Bowers | McKee Mortuary Inc.
Dennis L. Bowers, 64, Claypool, IN passed away January 14, 2019 at 1:13 p.m. at his home. One of four children, Dennis was born January 24, 1954 in Stark County, Ohio to Robert and Ruth (Cook) Bowers. Dennis had a passion for motorcycles and telling friends and family about them which showed through his part ownership of Maverick’s Motorcycle Shop in Pierceton, IN. He also drove semi-truck for Leesburg Feed Company and worked as an EMT for the former South-Central Emergency Medical Service at Silver Lake, IN. Before retiring, Dennis worked in Human Resources at Trail Lite in Warsaw, IN. On March 27, 1971, he married Treva Lapham. Dennis attended the Eel River Old German Baptist Brethren Church, Silver Lake, IN. Dennis will be remembered by his wife Treva Bowers, Claypool, Indiana; his parents Robert and Ruth Bowers, Silver Lake, Indiana; one son James R. (Sharon) Bowers, North Manchester, Indiana; three daughters, Jennifer (Mark) Anderson, Warsaw, Indiana, Lisa (Jeff) Cupit, Blue Spring, Missouri, and Linda Bowers, North Manchester, Indiana; one brother Roger (Valerie) Bowers, Rocky Mount, Virginia, one sister Beverly (Chris) Dyson, North Manchester, Indiana; 14 grandchildren and 18 great-grandchildren. He was preceded in death by one brother Gerald L. Bowers who passed away on December 15, 1987. Friends and family may call Thursday, January 17, 2019 from 2:00 p.m. to 5:00 p.m. and 6:00 p.m. to 8:00 p.m. at McKee Mortuary, 1401 State Road 114 West, North Manchester, IN. Funeral will be held Friday, January 18, 2019 at 10:00 a.m. at McKee Mortuary with no calling prior. Lavern King will officiate and burial will be held at Old German Baptist Brethren Cemetery, 2128 East 1200 South, Silver Lake, IN. For those who wish to honor the memory of Dennis Bowers, memorial contributions may be made to Riley Children’s Hospital, 30 South Meridian Street, Suite 200, Indianapolis, IN 46202.